Roaches Rats Spiders Ants and even the cutest mice is not exactly the idea of a house pet. 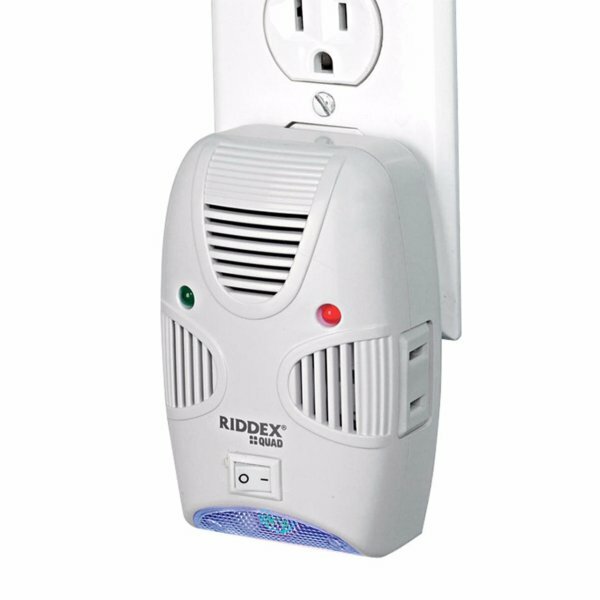 Get rid of these house pests with a Riddex Plus Digital Pest Repeller! Just plug the unit into an outlet and this technology starts working by altering the normal field around your wiring creating an environment that aids in the control of rodents. 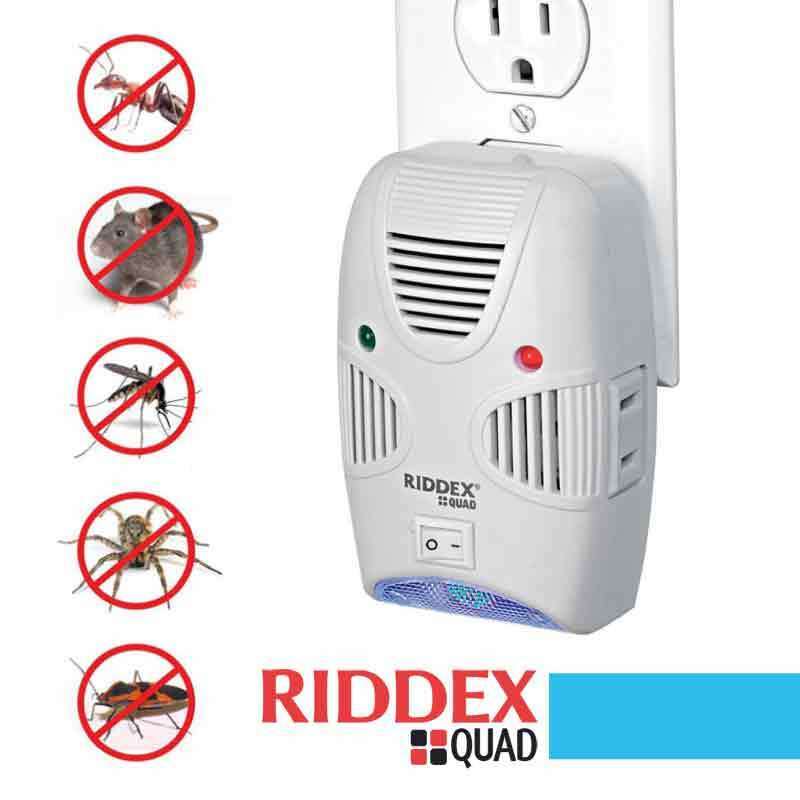 Riddex Quad Pest Repellent drives away rodents and roaches out of your home without toxic pesticides or expensive treatments. 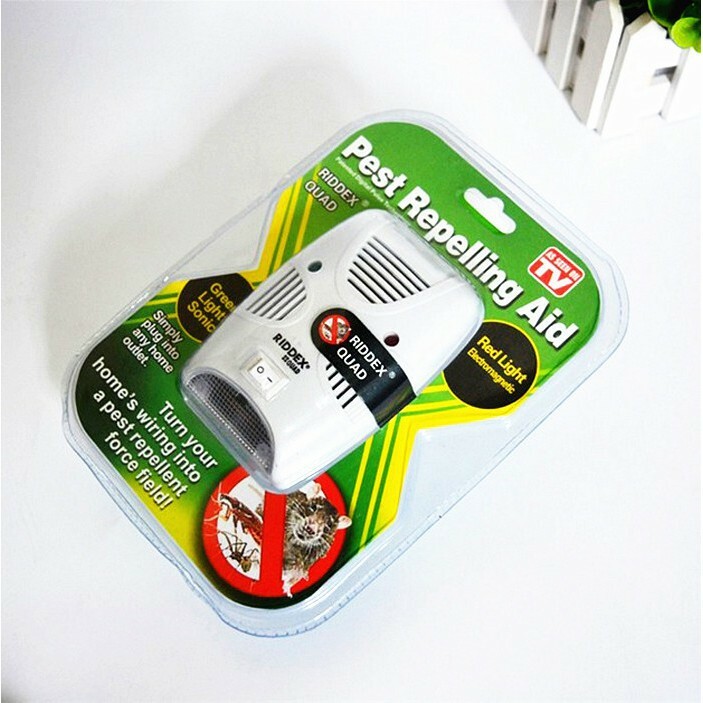 Simply plug the pest repellent unit into a wall outlet and Electromagnetic Sonic Technology penetrates through walls to protect one average size floor.